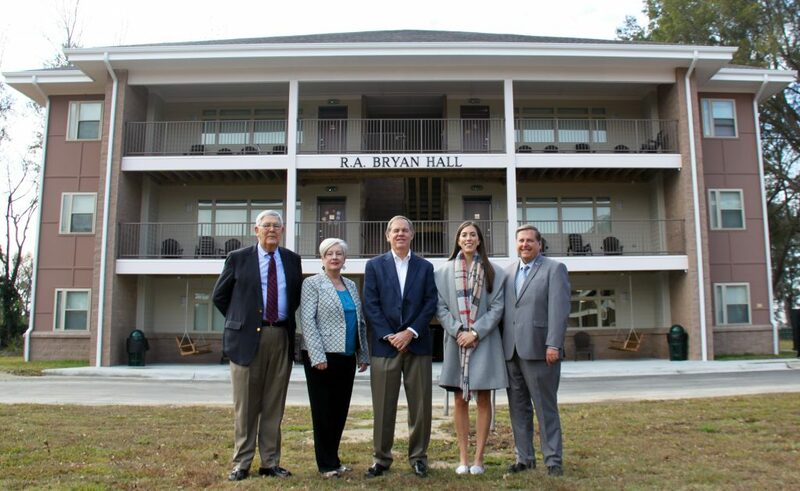 Through a generous donation by the R. A. Bryan Foundation, Inc., the University of Mount Olive’s newest student apartment building has been named R. A. Bryan Hall. The facility houses 36 students and is used for upperclassmen housing. Picture (L-R) Special Assistant to the VP for Institutional Advancement Jimmy Williams, Vice President for Institutional Advancement Teresa Hines, President of R. B. Bryan Foundation Steve Bryan and daughter, Madison, and UMO President Dr. David Poole.